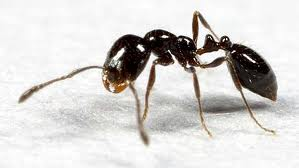 THE ant has had from time immemorial many enemies, and because he is small and destructive, there have been a great many slaughters among them. Not only were most of the birds their enemies, but Anteater lived almost wholly from them, and Centipede beset them every time and at all places when he had the chance. So now there were a few among them who thought it would be well to hold council together and see if they could not come to some arrangement whereby they could retreat to some place of safety when attacked by robber birds and aninials. But at the gathering their opinions were most discordant, and they could come to no decision. 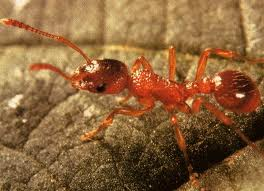 There was Red-ant, Rice-ant, Black-ant, Wagtail-ant, Gray-ant, Shining-ant, and many other varieties. The discussion was a true babel of diversity, which continued for a long time and came to nothing. A part desired that they should all go into a small hole in the ground, and live there; another part wanted to have a large and strong dwelling built on the ground, where nobody could enter but an ant; still another wanted to dwell in trees, so as to get rid of Anteater, forgetting entirely that there they would be the prey of birds; another part seemed inclined to have wings and fly. And, as has already been said, this deliberation amounted to nothing, and each party resolved to go to work in its own way, and on its own responsibility. Greater unity than that which existed in each separate faction could be seen nowhere in the world; each had his appointed task, each did his work regularly and well. And all worked together in the same way. From among them they chose a king-that is to say some of the groups did-and they divided the labor so that all went as smoothly as it possibly could. But each group did it in its own way, and not one of them thought of protecting themselves against the onslaught of birds or Anteater. « Why the name: Maputo?